The 30th annual commemorative event pin honors the first- and second-place pilots from last year’s competition. 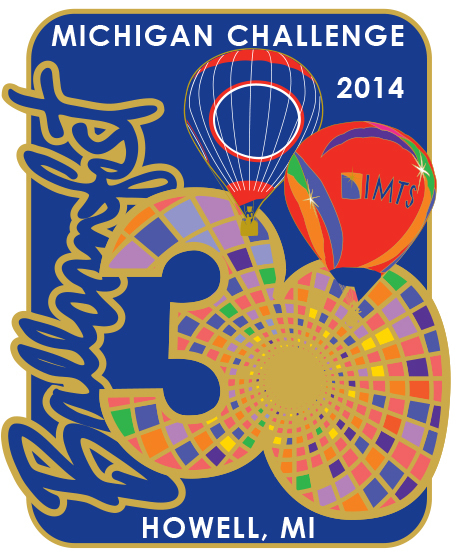 The pin features the “IMTS” corporate balloon piloted by Pat Fogue, and “Who Cares” flown by Balloonmeister Jim Birk. Pins are available for $6 each at the Michigan Challenge Balloonfest and Howell Area Chamber of Commerce. For those who have a pin collection, pins from previous years are also available.